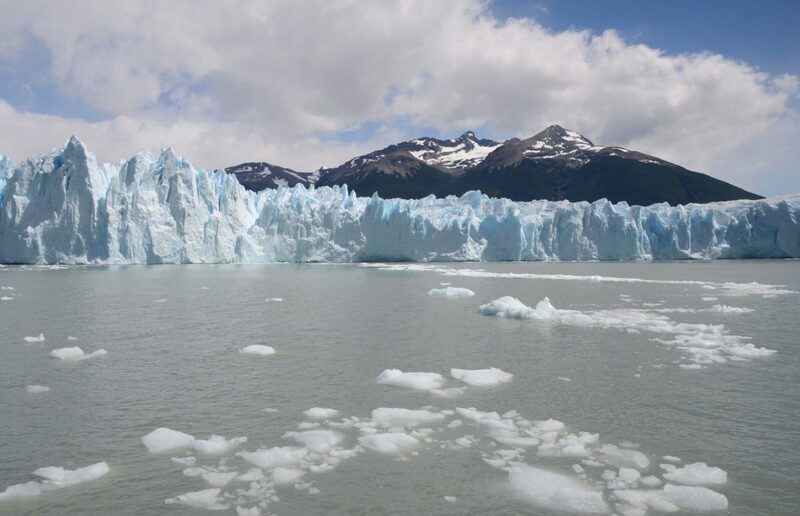 Did you know that the Perito Moreno Glacier is considered the eighth wonder of the world? 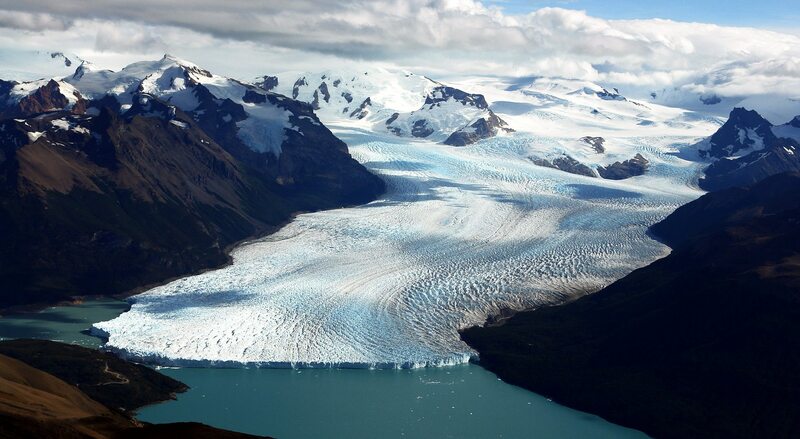 This glacier is part of one of the most important drinking water reservoirs in the world and is within the 30% of the surface of the park covered by ice fields. It stands out from most other glaciers in the world for the fact that rather than continually receding, its glacial mass is increasing. Here, you’ll be able to observe this natural phenomenon and the unique experience of hearing the ice cracking! 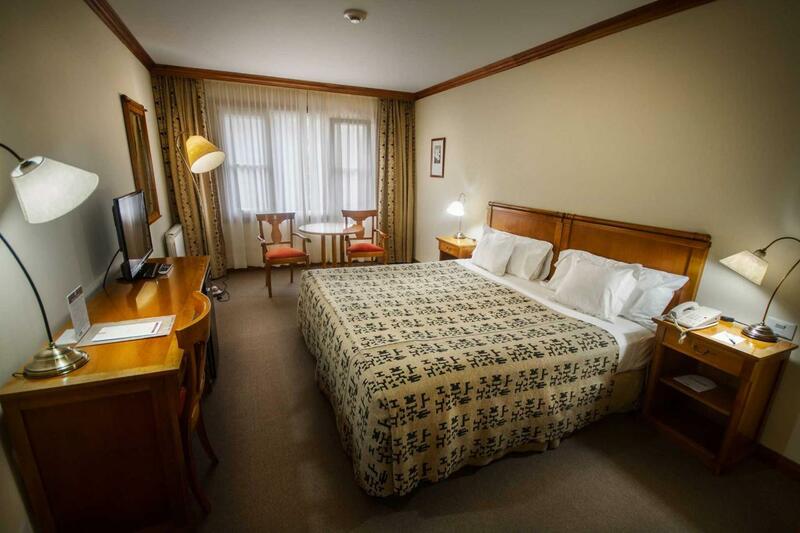 You’ll also enjoy some amazing Argentinian Patagonian cuisine, a wide range of activities in and around the city, and a constant connection with Argentinian culture. Calafate is a city located in Argentinian Patagonia that borders with Chile and is part of the Los Glaciares National Park, which has been declared a UNESCO World Heritage Site. It is a significant place in terms of glaciology and geomorphology, as it has one of the country’s main glaciers: the Perito Moreno Glacier. This is part of an incredible mountainous panorama with lenga beech, larch and cherry tree forests, as well as bushes such as Caulker and Chilean fire tree. 3 Calatafe and Airport End of Extension . 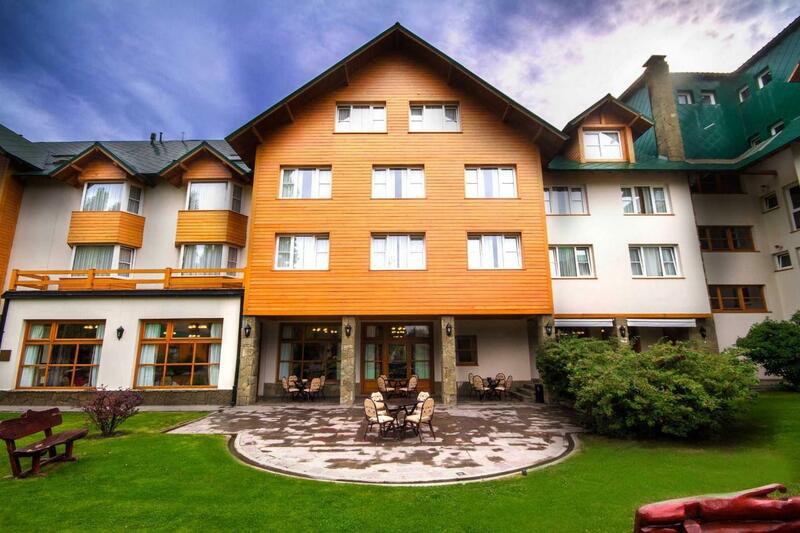 If you use this short program as an extension of the program “Patagonia Nature Trip”, after a delicious breakfast at the hotel in Torres del Paine, Chile, a van will be waiting for you to head for Argentinian Patagonia to the Kosten Aike hotel located in the town of Calafate. 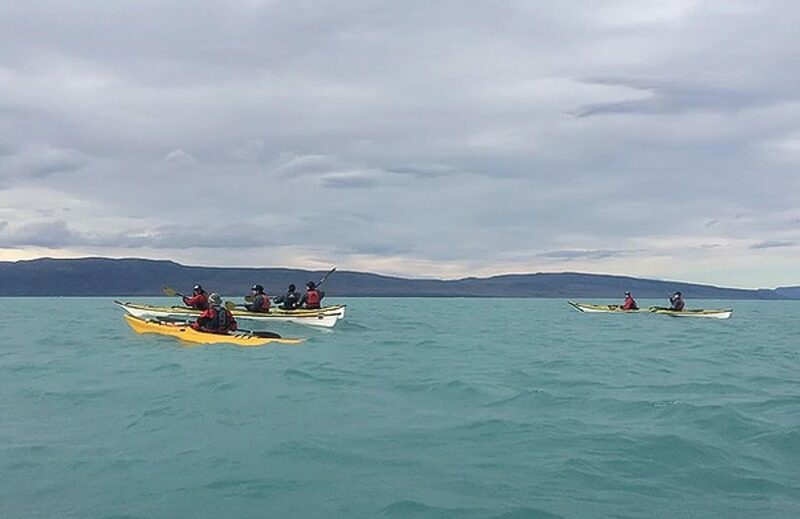 Once you’ve checked in, you’ll have some free time to explore the city, enjoy the region’s traditional food, and do one of the scheduled activities: kayaking on Lake Argentino. At 6 pm, a van will pick you up from the hotel and take you to the start of the sailing activity, which will span 5 km over 1 hour. There, you’ll be able to watch a beautiful sunset and spot many birds such as flamingos, black-necked swans, white-winged coots and others. Once the activity is finished, the van will take you back at 8:30 pm to the hotel. After breakfast, a van will take you to the start of your excursion to the Perito Moreno Glacier. During this trip, you will pass by Lake Argentino, home to a wide variety of birdlife. 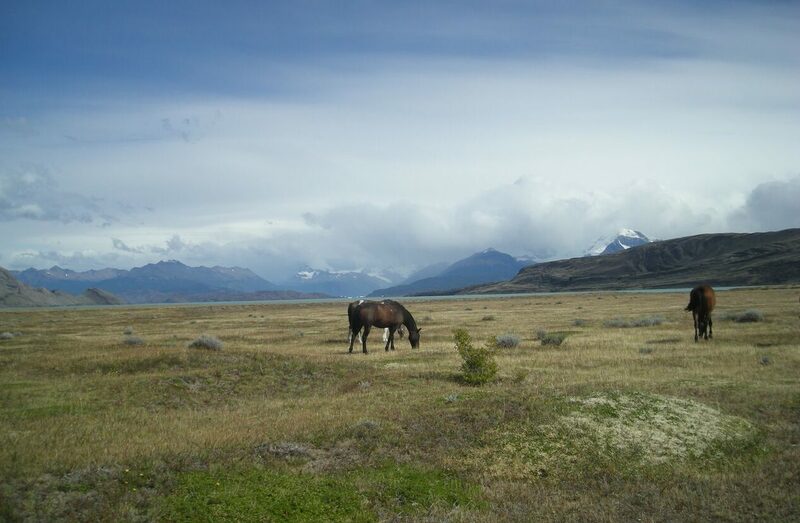 You’ll also see the Patagonian steppe, noted for its low mountains and grasslands. Once you are at the entrance to the Los Glaciares National Park, you will go into a Nothofagus forest that will lead you to the “Curva los Suspiros”. 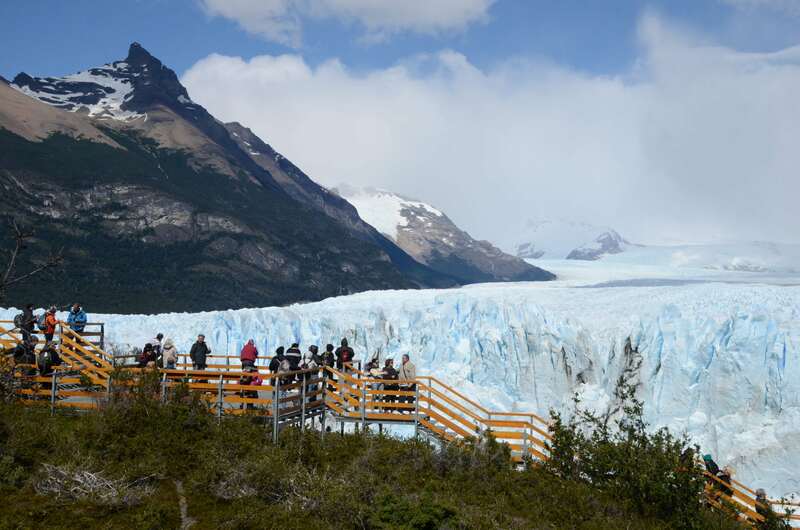 Here, you will make a brief stop to take pictures and observe the panoramic view of the glacier before heading to the visitor service area, where there are a number of viewpoints allowing you to see the Perito Moreno glacier up close. You will have enough time here to enjoy the landscape and listen to the unique sound of the ice constantly cracking! You can have lunch here (not included) before heading back to the hotel. *Optional: Sailing “Safari Nautico” to the south face of the glacier. Between the month of August 1 to May 31 of 2018.